Fresh bottled drinking water provided. We begin our Ghana tour on arrival at the Kotoka International Airport in Accra where you will be met and transferred to our hotel. Depending on the time of arrival, we may have a chance to visit the city. Overnight at the Erata Hotel in Accra. 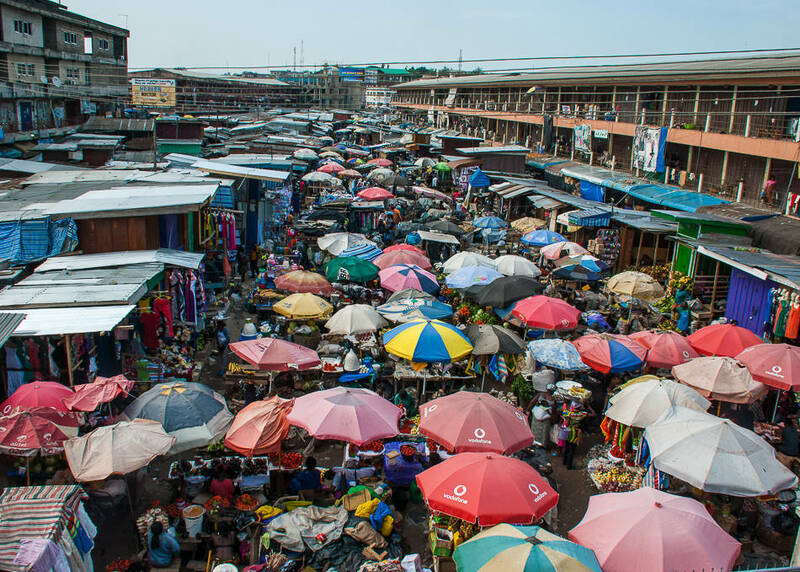 After breakfast at our hotel, we will set off on our tour of Accra, visiting first the pulsating Makola Market that sells everything under the sun and is one of the best places in Accra to get a feel for the local people. 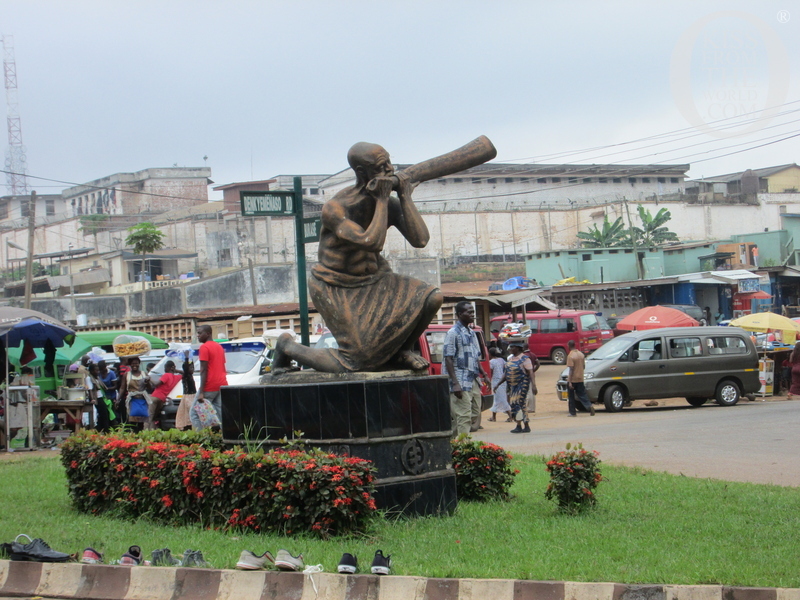 Next we will go through the old quarter of Jamestown and passing through the commercial and administrative districts on our way to the National Museum. Almost all the displays here are ethnographic in nature and the museum gives us an excellent overview of West African culture. Lunch will be at a local restaurant serving a selection of West African and continental dishes. 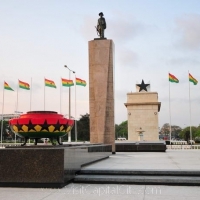 In the afternoon, we pass by Independence Square and view the enclosed flame of African liberation, which was lit by Kwame Nkrumah himself in 1961. 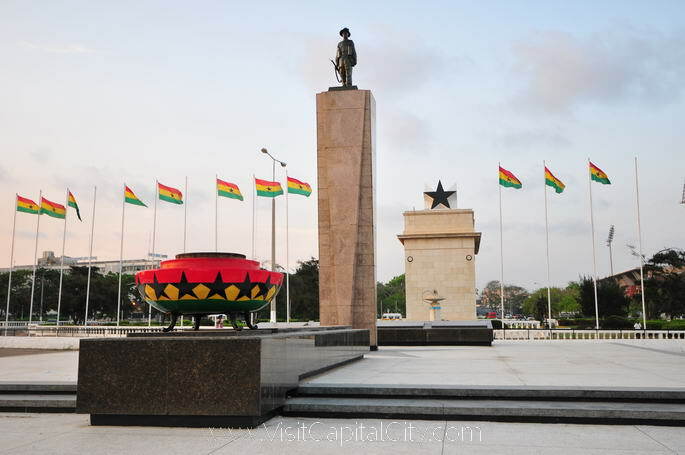 We continue the short distance to the Kwame Nkrumah Memorial Park, the final resting place of Ghana’s founder. 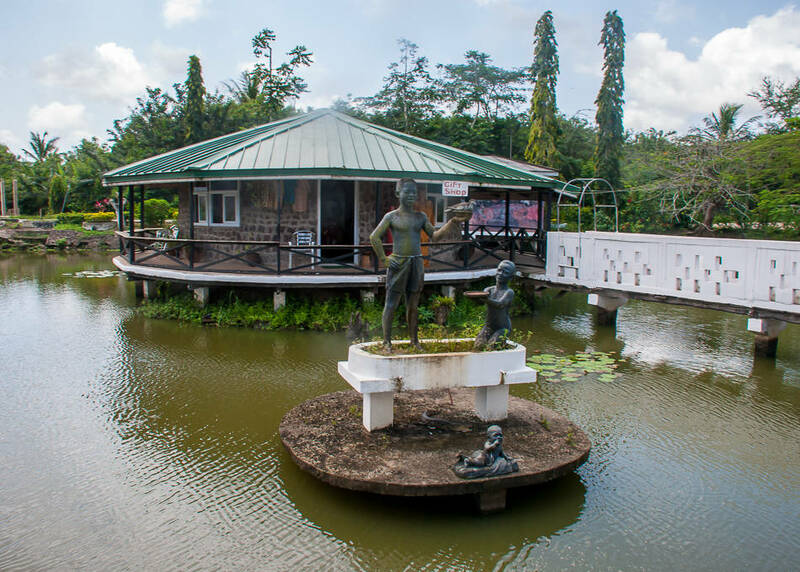 Set in attractive gardens, there is an adjoining museum, which contains photos, artifacts and insight into this incredible man’s life. 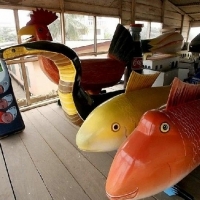 Later, we will pay a visit to Accra’s coffin makers. 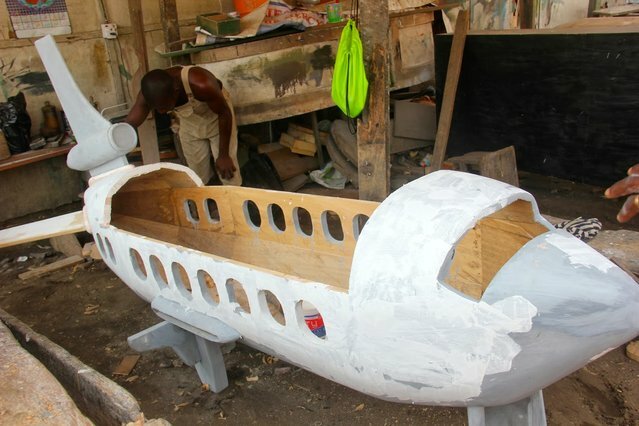 These artists make unique coffins that are customized for a person before their death and take on all sorts of shapes and sizes and frequently based on the former occupation of the deceased — a true must-see. Later we will return to the hotel for dinner and the remainder of the evening is at leisure. Overnight at the Erata Hotel in Accra. This morning on our Ghana tour, we will depart Accra and start our journey towards the Volta region of Ghana, passing over the magnificent Lake Volta en route. 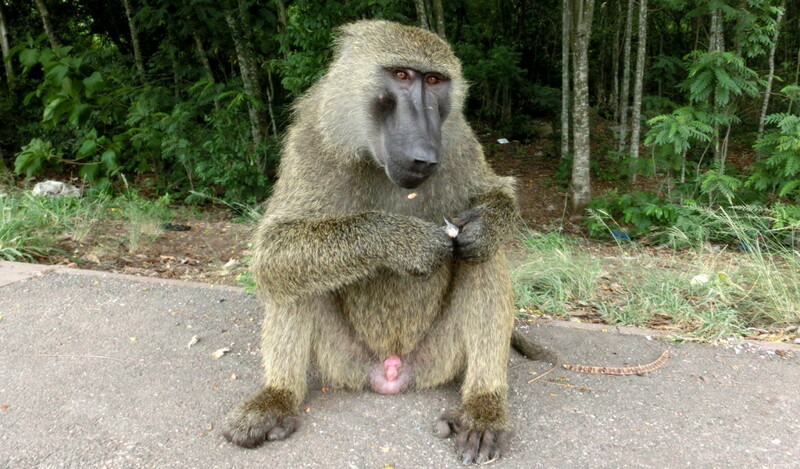 Before crossing the lake, we visit the Shai Hills Reserve, an expanse of Savannah grassland and woodland with large numbers of olive baboons, antelopes, green and spot-nosed monkeys. Formerly the home of the Shai people who were ejected by the British in 1892, granite inselbergs dominate the landscape and house many active traditional shrines. We collect an armed guide and hike to the Obonu Tem caves searching for wildlife during our walk. Later, we will continue our journey towards the Volta region, stopping at a hotel in Akosombo for lunch. 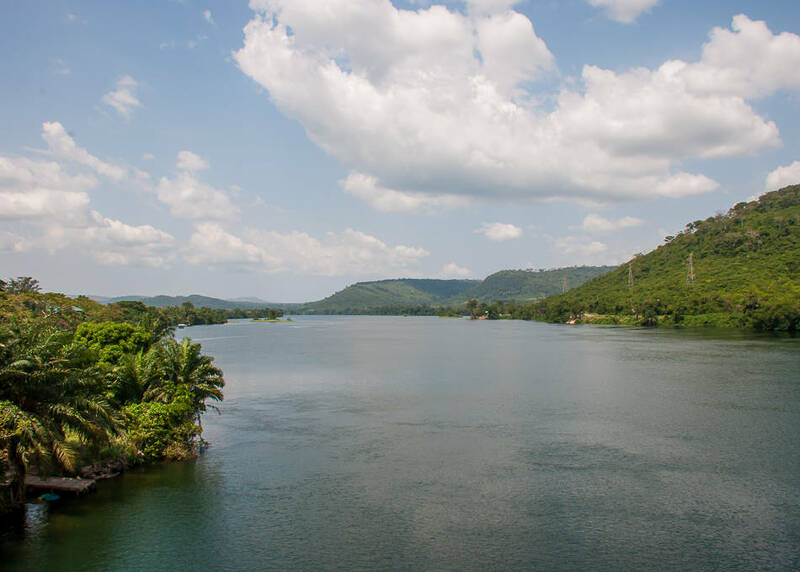 The hotel is situated in a perfect location on the banks of the Volta overlooking this spectacular lake. After lunch, we will embark on a tour of the Akosombo Dam, an amazing piece of engineering producing power for the majority of the country. We then transfer to our hotel in Ho, the capital of the Volta region of Ghana. Overnight at Chances Hotel in Ho. 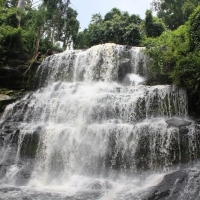 We will venture today to the Wli (Agumatsa) Falls, located in the Agumatsa Wildlife Sanctuary in the Volta region of Ghana. 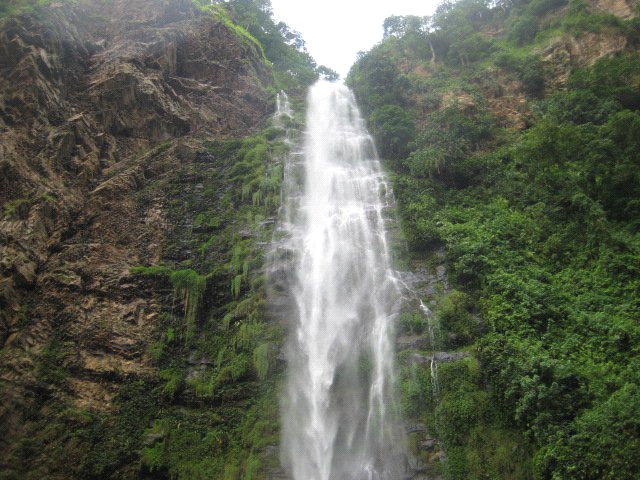 The Wli Falls are believed to be the highest in the whole of Western Africa. Set in a beautiful location, the surrounding flora and fauna make this an idyllic setting. On our arrival, we will trek through the thick semi-deciduous forest leading to the falls from Wli village. As we near the falls we should hear the sound of the enormous colony of bats found on the adjacent cliffs mixed with the powerful flow of the river. We can relax and enjoy a swim in the pool beneath the waterfall before setting off to the town of HoHoe for lunch. We will then spend the afternoon with the locals from the village of Tafi Atome, a wonderful community protecting a population of endangered true mona monkeys called the Tafi Atome Monkey Sanctuary. 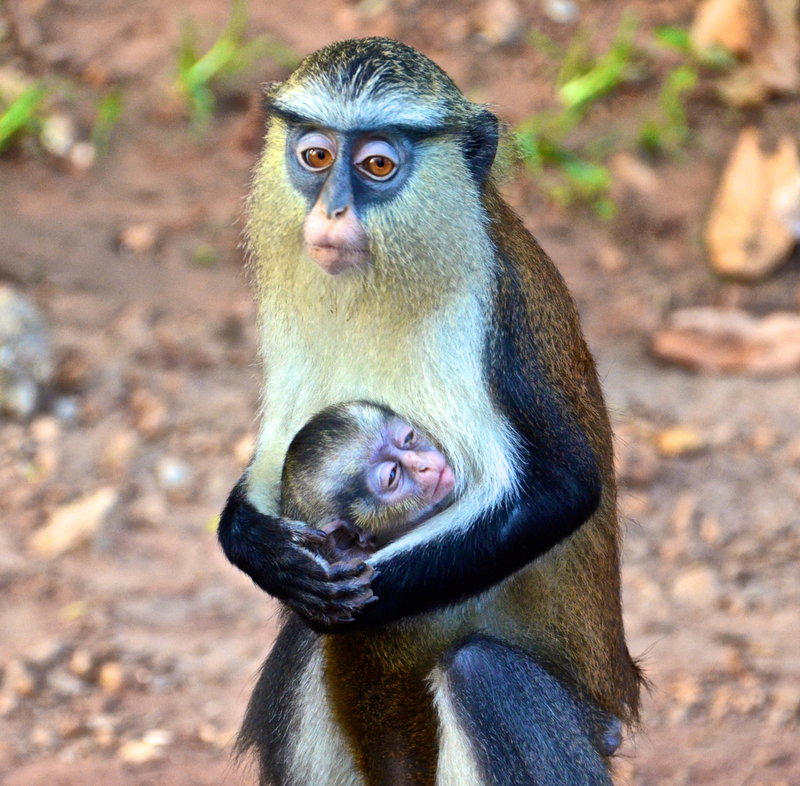 The community here perceives the mona monkeys to be sacred messengers from the gods and have been protecting the animals and their habitat for over 200 years. We learn more about the history behind their protection from the local traditionalists during our time in the village. We later will head into the surrounding forests to see the mona monkeys that live here. During the walk, our guide will identify the many medicinal plants which grow here and explain how the locals use them to make traditional herbal remedies. We will then spend some time mixing with the ethnic Ewe villagers before driving to our hotel. Overnight at Chances Hotel in Ho. After breakfast, we will depart Ho for Kumasi, the capital of the Ashanti region and home to the Asantehene, king of the powerful Ashanti Empire and its people. Our journey takes us through the beautiful Akwapim Range, which offers outstanding panoramic views of Tema and Accra in the distance. 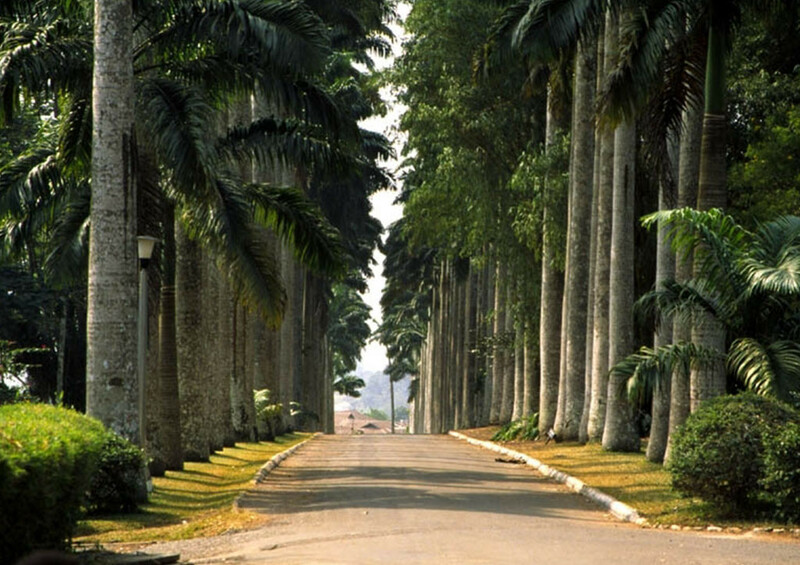 At the top of the range, we will visit the Aburi Botanical Gardens, set in a beautiful location and founded by the British in 1890 and are home to a wide variety of indigenous and exotic flora. 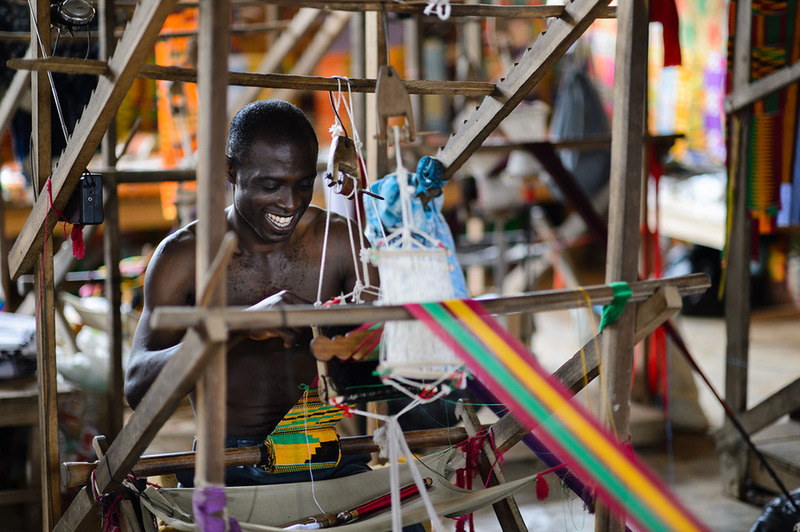 A short distance from the gardens, we find the relaxed and friendly Aburi craft village, where traditional African drums and crafts have been carved for generations and we will watch the skilled craftsmen at work. Later we will have lunch in Koforidua, the capital of the Eastern region of Ghana, before setting off on the final leg of our journey to Kumasi. On our arrival, we check into our hotel and have dinner. The evening is at leisure. Overnight at the Noda Hotel in Kumasi. Kumasi is widely regarded as the cultural center of Ghana, with its many ancient craft villages within a short distance of the city center. Today is dedicated to visiting these ancient traditional villages. Our first stop after breakfast is to Bonwire, which is famous for being the birthplace of Kente cloth. Bonwire produces some of Ghana’s finest Kente cloths, many designs of cloth are woven here and some are exclusive only to this region. We will spend time in the village interacting with the community, and learning about the history behind the many designs. As we walk through the village, we see highly skilled locals weaving outside their homes, the machines the weavers use have not changed in design for centuries. 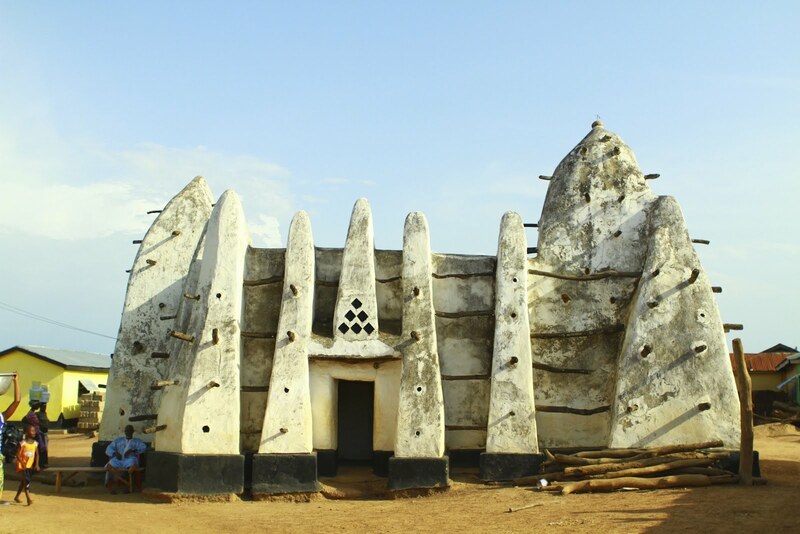 Later we will visit the nearby ancient village of Ntonso, is where adinkra cloth and symbols originate. These traditional symbols all have meanings and are carved from calabash shells. The adinkra symbols are then printed onto traditional cloth using natural dyes made from the bark of certain local trees. Adinkra cloth has been adorned by the Ashanti’s for more than four centuries and pre-dates kente cloth. 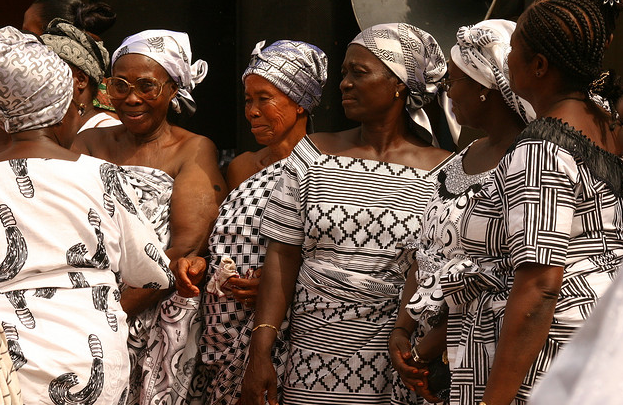 Even today, most Ashanti’s will wear adinkra cloth for funerals, festivals and other important occasions. During our time here, we will have the opportunity to make our own strip of adinkra cloth using symbols with personal significance. After lunch, we visit the village of Sokoban Krofrom where traditional brass casting has been the main source of income for the community for generations. A wide selection of items ranging from beads and jewelry to traditional statues are made here. The methods used to produce these wonderful brass works has not changed and during our time here we see a demonstration of the skilled process. We will then return to our hotel for dinner. Overnight at the Noda Hotel in Kumasi. We begin the day on our Ghana tour with an early morning visit to the Kejetia Market. 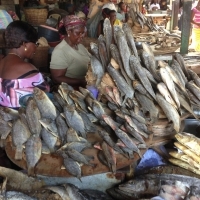 Found in the heart of the city, Kejetia is the largest outdoor market in all of West Africa. This is a wonderful opportunity to experience everyday life for the people in this city and pick up a few bargain souvenirs. The market is a labyrinth of stalls nestled closely together, and a hive of activity. Some stall holders sleep here in the evenings as trade rarely stops. After this busy and bustling morning, we will head off for the beginning of our northern adventure. Our first destination is Techiman, a large town in the Brong-Ahafo region of Ghana where we will spend the evening. After checking into our hotel and enjoying lunch, we will visit the villages of Boabeng and Fiema. 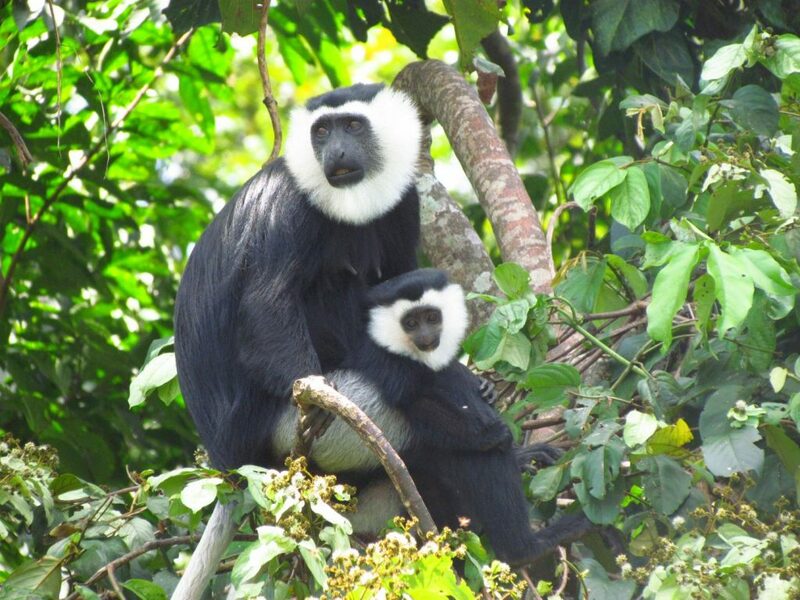 These two villages nestled closely together have been protecting the black and white Colobus and Mona monkeys, which are found in the surrounding forests. The locals perceive the monkeys to be sacred and offer them traditional burials. During our time in the villages, we will interact with the locals learning about their culture and daily routine as farmers. As we walk trails into the forest viewing these beautiful monkeys, our local guide will identify the many medicinal trees and plants found here and explain how they benefit the locals. After our first taste of wildlife in Ghana, and an enjoyable afternoon with the villagers, we will return to our hotel for dinner and relax. Overnight at the Premier Palace Hotel in Techiman. Today our Ghana tour starts with a buzz as we load up our vehicle after breakfast and set off northwards. Our destination is Wechiau and the community hippo sanctuary. The landscape changes from the broad-leaved woodlands of the Ashanti Region to the Sahelian savanna plains and woodlands of the north. We will stop off en route at a traditional Sudanese-style mud and stick mosque which is approximately 150 years old. Our guides have an excellent relationship with the locals in this remote village and during our time here we all have a unique opportunity to go inside the mosque. The Imam will explain the history of the mosque to us and we can enjoy a walk through the village interacting with the locals. We continue our journey towards Wechiau stopping for refreshments at one of the local spots (bars) before reaching our destination. As we near Wechiau, we will notice the change in the design of the traditional homesteads of the Lobi tribal communities of the Upper West Region, their tribal name means literally ‘children of the forest’. On our arrival, we will be joined by a local guide at Wechiau town before proceeding to our accommodation for the evening. The Talowana Lodge is a clean, basic and comfortable accommodation built in the design of a typical Lobi homestead. 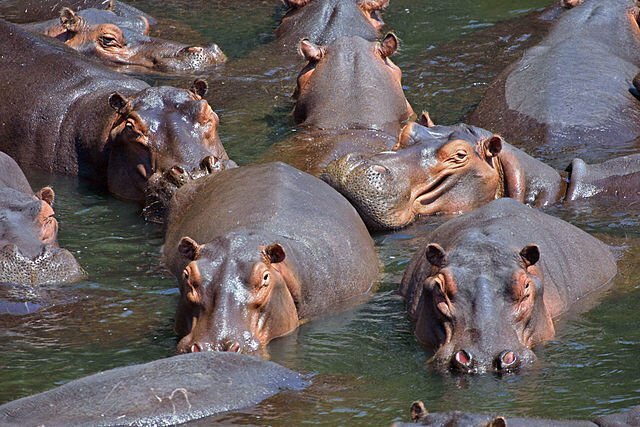 Wechiau is a fantastic project protecting vulnerable hippos on the beautiful Black Volta River and has been was voted the 3rd best conservation destination by the Independent Newspaper, in 2000. After settling into our lodge, we will visit a nearby Lobi village and meet with the locals to learn about their fascinating traditional practices and ways of life. In the evening, we sit under the beautiful African night sky listening to traditional xylophone music around our bonfire. This is a perfect time to experience pito, the local brew, before retiring for the night. Overnight at a traditional Lobi Homstead in Wechiau. After an early breakfast, we will venture down to the river for an early morning river safari in a traditional dugout canoe. The Black Volta is stunning and the boat ride is a memorable experience. You will be dazzled by the beauty of the woodlands on both sides of us as we travel upriver to one of the hippo pools. To our left is Ghana and to our right is Burkina Faso. The bird viewing as we go along this border is excellent, with over 250 species recorded. Encountering the hippos is, of course, the highlight of the safari. 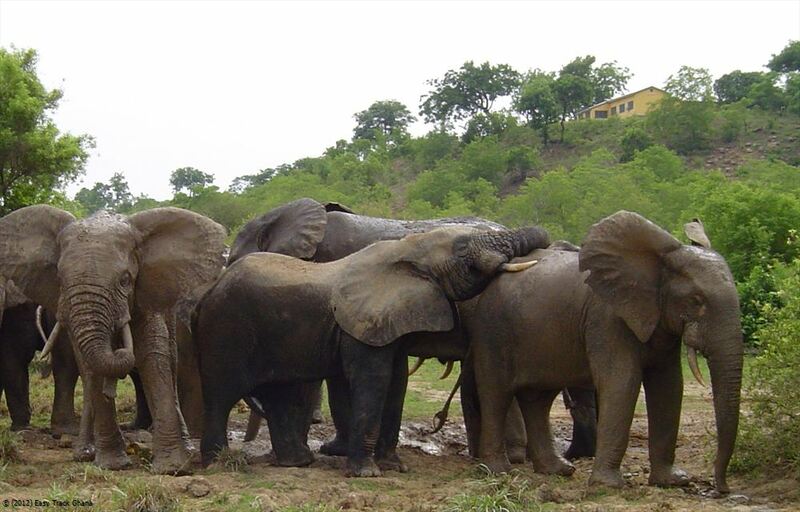 The feeling you experience is enhanced all the more as these beautiful mammals are endangered in Ghana. As we enjoy the breathtaking views as we return down the river, we should meet some of the community fishermen and have an opportunity to observe their traditional fishing methods, which have not changed for centuries. After lunch, we will visit the town of Wechiau, where we mix with the locals and experience everyday life within this community. The main ethnic groups in Wechiau are the Lobi, Biri and Wala’s. Some Lobi and Biri elders can still be seen wearing traditional lip plugs. After our evening meal, you have the option of sleeping at the hippo hide built on the banks of the Black Volta River. It is a wooden platform built on the canopy of a large tree above vegetation known to be an evening hotspot for grazing hippos. It is an amazing feeling lying under the beautiful African night sky listening to hippos feeding beneath. Alternatively, you can stay at the Talowana Lodge or sleep on the roof as the locals do, gazing up at the vibrant stars. Overnight in Wechiau. We will enjoy a leisurely breakfast before loading up our vehicle and heading for Mole National Park, Ghana’s oldest, largest and best game viewing park — and one of the true highlights of our Ghana tour. On our arrival, we check into the Mole hotel, which is the only accommodation in the area and situated on a 250-metre high escarpment overlooking this 4840km² park. It offers breathtaking views. It is an amazing feeling to be sitting around the pool on the hotel terrace watching African savannah elephants bathing in the two nearby watering holes which are inhabited by crocodiles. We will take an afternoon foot safari around the watering holes with armed guides. Many of our guests who have traveled extensively around Africa are amazed at how close we get to African elephants, the world’s largest land mammal, on foot. 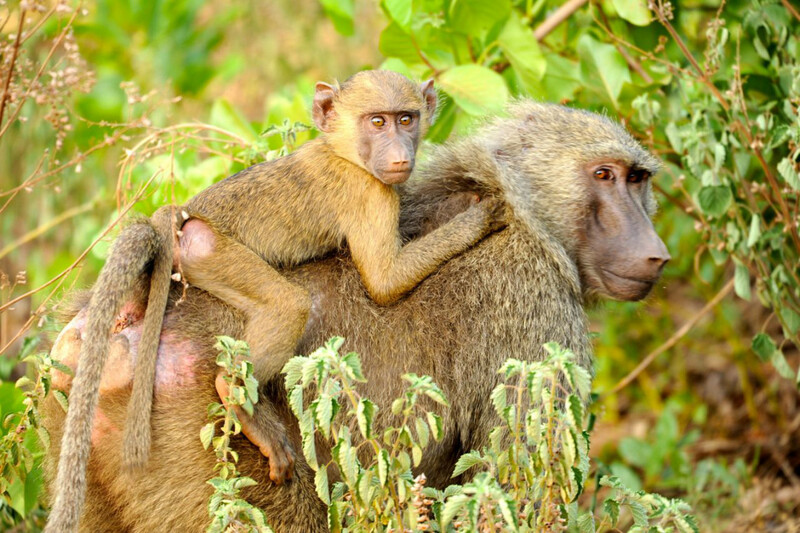 There are over 93 mammals recorded in Mole, as we walk through the savannah and bush, we are likely to see troops of olive baboons and patas monkeys getting extremely close to these beautiful primates. Kob, bushbuck and waterbuck, regularly come to the watering holes to drink, being cautious of the crocodiles lurking in the muddy waters. Deeper in the park, lion, leopard, hyena and African buffalo roam. As we return to the hotel, we may encounter a family of giant warthogs or a crocodile sunning itself on the water’s edge. After our evening meal, we will enjoy the beautiful sunset over the Savannah woodlands and gallery forest, which surrounds the hotel. A perfect ending to a beautiful day. 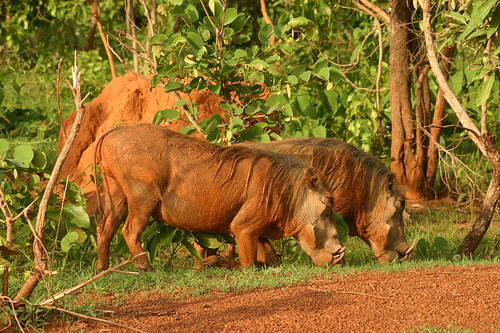 Overnight in Mole National Park. 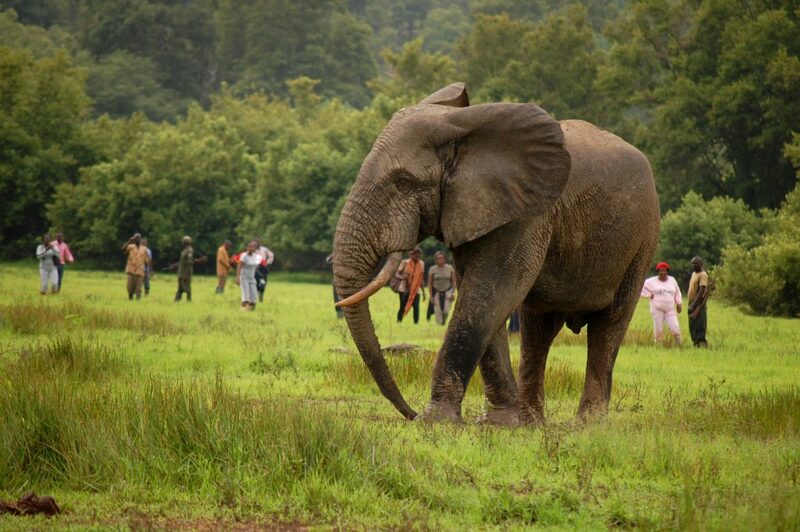 After an early breakfast this morning, we will set off with our armed guide tracking the world’s largest land mammal, the African elephants, on foot. We will dedicate the entire morning to tracking and getting as close as possible to these amazing mammals. We are sure to encounter many other animals during our trek, and our experienced guides are on hand to identify some of the 300 species of birds found at Mole. The afternoon will be free time for you to relax, enjoy your surroundings and the atmosphere of being so close to African nature. Overnight in Mole National Park. After a leisurely breakfast, we load up our vehicle and leave for Tamale, the capital of the Northern Region of Ghana. 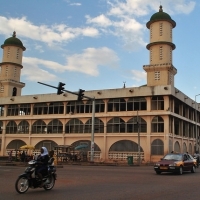 En route, we take a cultural excursion to Larabanga and the 14th-century mud and stick mosque. 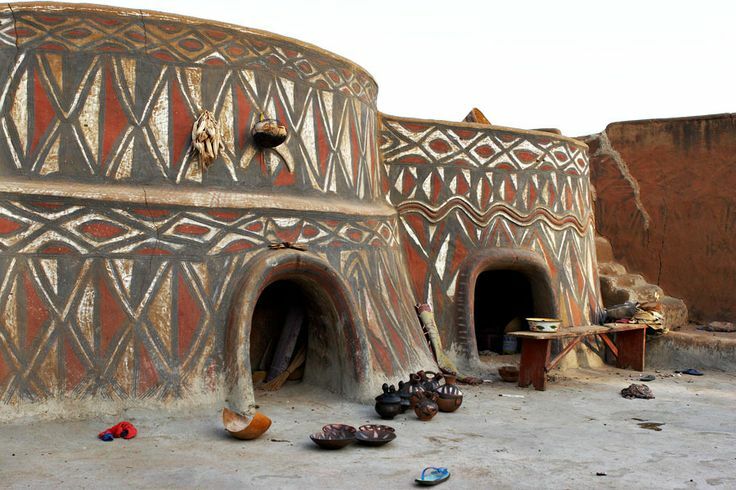 This wonderfully preserved traditional Sudanese style mosque dates from around 1421 and reportedly houses one of the original copies of the Koran. On our arrival in Tamale, we will check into our hotel and enjoy our lunch before setting off for the large central market, an excellent way to experience everyday life for the people here. A must-see is the fetish section of the market; here they sell traditional medicines from strange animal parts. Found close to the market is the National Centre for Culture, which is Tamale’s largest arts and crafts market, where you may pick up some quality souvenirs at reasonable prices. Our final stop for our evening meal is Zongo, a suburb of Tamale where we will find a traditional open air tannery. Leatherworks have been produced here for generations; we see the leather making process before visiting some nearby stalls selling traditional items made from leather-like sandals and bags. Overnight at the Gariba Lodge in Tamale. An early start and the beginning of our Upper East adventure, our destination is Sirigu, which is close to the Burkina Faso border and where we will spend the next two evenings. As we venture northwards, the landscape becomes more savanna woodland and we pass through many beautiful villages with excellent examples of traditional housing. Our first point of call is to the town of Gambaga, which is the ancient capital of the Mamprusi and was the colonial capital of the Northern region until 1907. 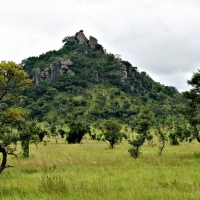 Found on the outskirts of Gambaga is the Kukoa, an ancient witches camp. The Kukoa acts as a refuge for women who have been accused of witchcraft within their communities, and many of the women would not be alive today if the camp did not exist. 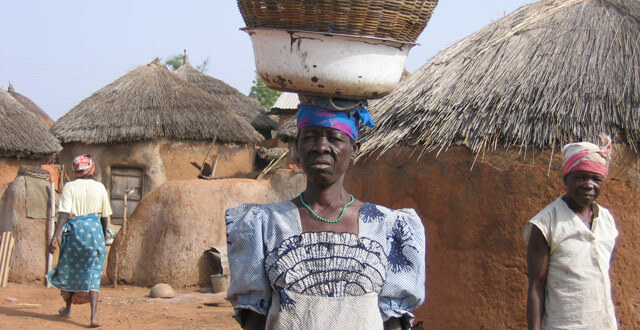 Its 230 inhabitants come from a variety of countries which include Togo, Benin and Burkina Faso. 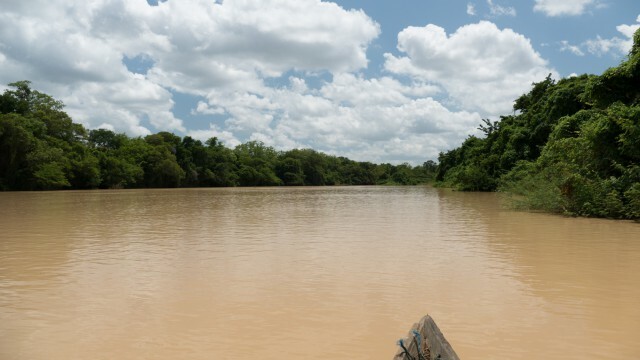 After meeting the chief and community, we will continue our journey to Sirigu, arriving in the early evening. As we approach this remarkable village, the beautifully painted traditional homesteads stand out; it is a local tradition that spans centuries and one we will learn more about during our time with the community. Our accommodation is in traditional style, and there is no central power in this remote community and our only source of light is generated by solar power. The locals are wonderfully welcoming and look after us during our time here. Overnight in a Sirigu Guest House in Sirigu. This morning on our Ghana tour, we will visit the chief’s palace and local market. This offers a perfect opportunity to meet and mix with the locals and see the busy daily life of the residents. Later, we will visit a local orphanage to say hello to the children, who are here because their mothers died during childbirth. After our morning with the locals, we will set off to the Tongo Hills to meet the Talensi tribe. 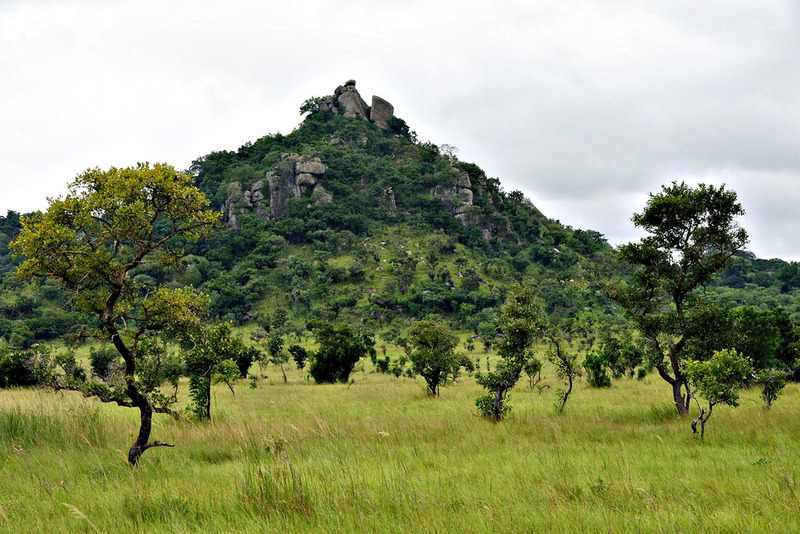 Tongo Hills is a mysterious place where there are numerous pinnacles formed by enormous rocks. The local people consider these vestiges as the ancient domiciles of the Gods. The Talensi’s live in fortified homes that accommodate up to 60 people; they have only one entrance and are a labyrinth of walls, stairways and narrow passages. During our time here we will visit the chief’s traditional home that houses over 300 people, 17 of them his wives. It is believed that this family compound is the largest in Ghana. We return to Sirigu in the evening for dinner. Overnight in a Sirigu Guest House in Sirigu. After breakfast, we bid farewell to our new found friends at Sirigu and set off Kumasi, with today being mainly a travel day. 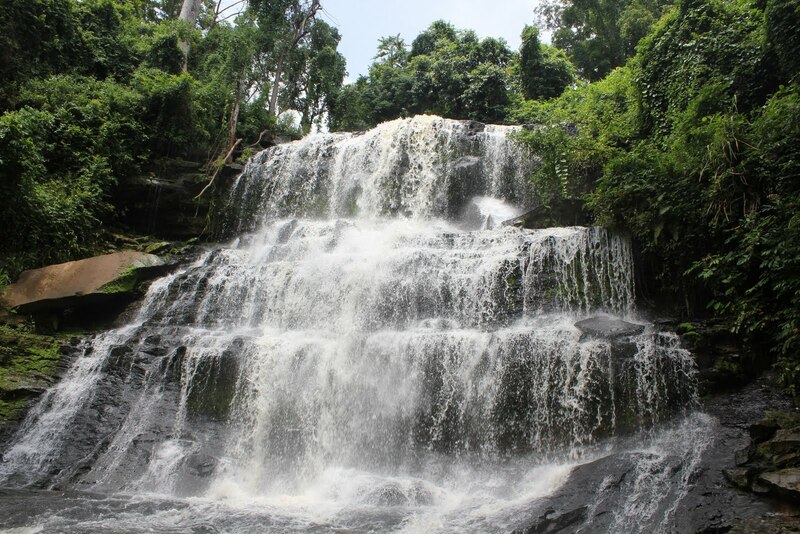 En route to Kumasi we will pass by numerous coffee and cocoa plantations and will be stopping at the beautiful Kintampo waterfall to relax. Some of our more adventurous guests use this opportunity to experience the best shower in Ghana, an invigorating experience and a great way to cool off during our journey. After our refreshing stop, we set off on our final leg to Kumasi. Overnight at the Noda Hotel in Kumasi. We enjoy a relaxing morning before we start our journey towards Elmina in the central region of Ghana. The town of Elmina was given its name by the Portuguese due to the abundance of Gold found in Ghana. Translated Elmina means The Mine. gold is of such importance to Ghana today and historically, with this in mind, we stop for lunch en route in the mining town of Obuasi. 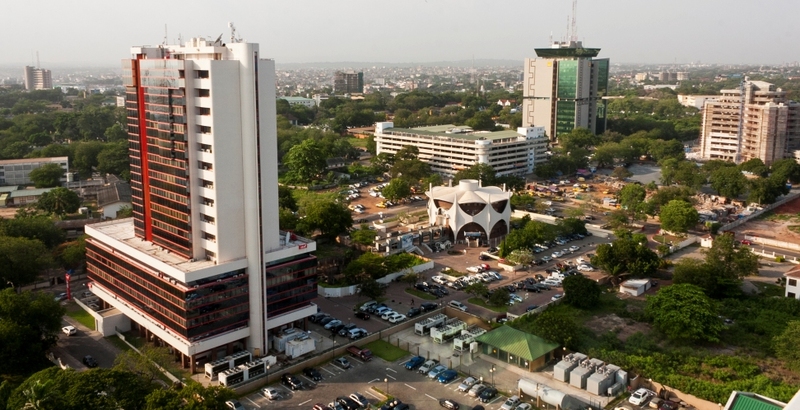 Ghana is the world’s second largest exporter of gold and Obuasi is home to Ghana’s largest gold mine. As we drive through the town, we can see the scale of the gold production that is going on here. After lunch, we continue our journey to Elmina stopping at Cape Coast. 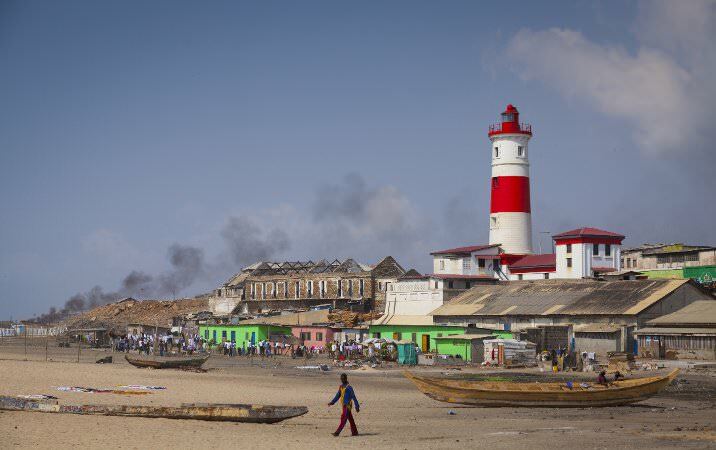 On our arrival we visit will visit the Cape Coast Castle, a UNESCO World Heritage Site and a thought-provoking monument to a harrowing period in the region’s history. We will spend the afternoon touring this castle, which held more enslaved Africans captive than any other in the region, viewing the dungeons and the infamous “Door of No Return”. 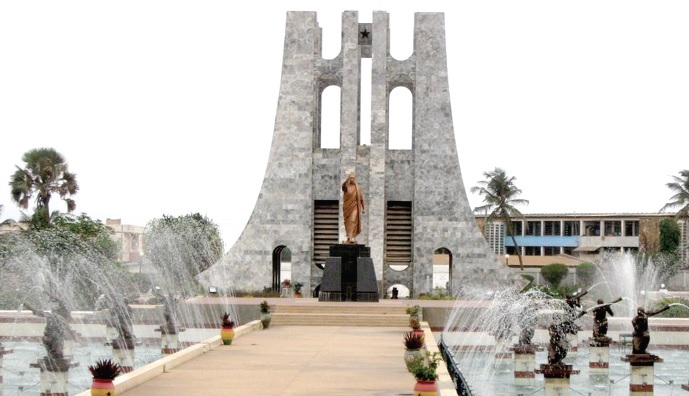 There is a magnificent historical museum inside, which explains the whole history of the Castle and Cape Coast itself. After our tour, we check into our beautiful beachfront hotel, enjoy our evening dinner, and have the remainder of the night being free to relax. Overnight at the Brenu Beach Hotel in Brenu Akyinim. This morning on our Ghana tour, we will venture out to Kakum National Park in the morning, which holds Africa’s only rainforest canopy walkway. 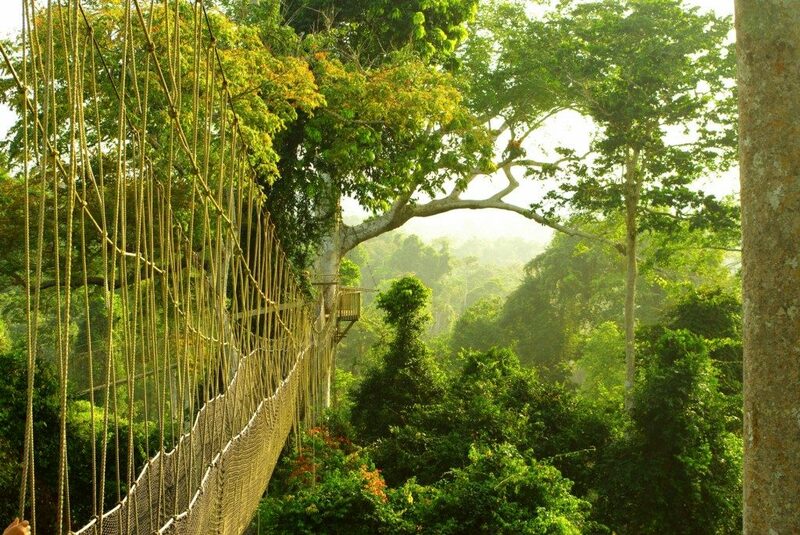 This is a truly beautiful, tropical Guinea rainforest, and the canopy walkway is sure to be a highlight of your time in Ghana. The walkway consists of a series of 7 bridges, attached to 7 emerging trees, 40 meters above the rainforest floor. As you rest on the tree platforms between the bridges, you will marvel at the outstanding views that stretch for miles across this breathtaking rainforest. Over 40 different mammal species have been recorded within the park, which includes forest elephants, leopards and six primate species, to mention just a few. A short distance from Kakum we find traditional palm oil producers and a cocoa farm. Ghana is the world’s second largest producer of cocoa and many Ghanaians rely solely on the income it brings from their small farms. During our time here, we see how the farmers produce the palm oil and harvest the cocoa while interacting with the friendly locals in the village. Later, on our way to Hans Cottage, we will stop off to witness traditional palm wine tapping and even get to sample the local brew. Hans Cottage is built over a lake containing Nile crocodiles and set in a beautiful location surrounded by tropical Guinea rainforest and is teeming with bird life and an excellent place to enjoy lunch before setting off for an afternoon of relaxation at one of Ghana’s most beautiful beaches. 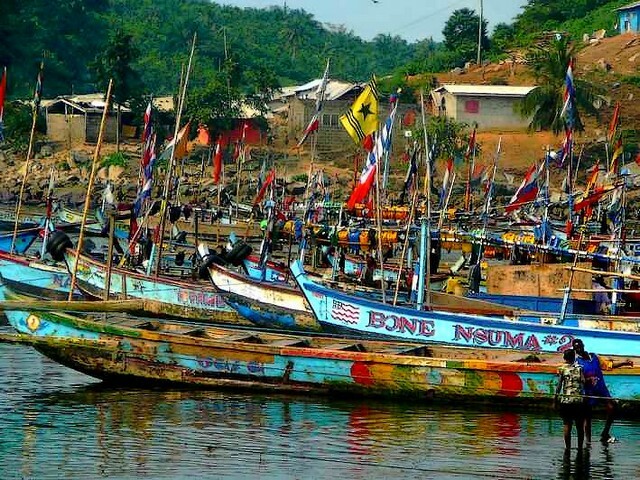 Before our arrival, we will pass through the wonderful fishing town of Elmina and enjoy the sight of the many colorful fishing boats bringing their daily catch into the harbor and take this opportunity to mix with the locals at the nearby market. A short distance from the market we visit the boat builders, who still build the colorful fishing boats using traditional tools and methods spanning centuries. We will finally return to Brenu Akyinim for an afternoon of beach relaxation and fun. Overnight at the Brenu Beach Hotel in Brenu Akyinim. After breakfast, we will depart for Nzulezu. 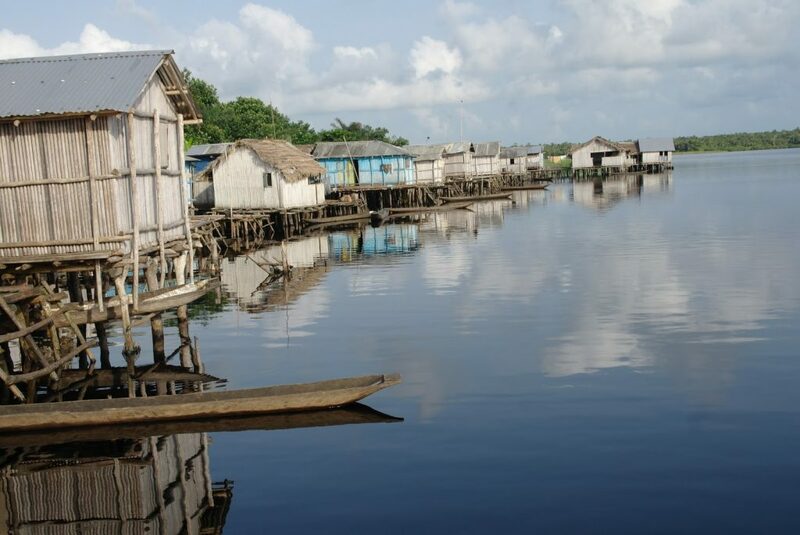 Here we will visit this stilt village where the people have one of the most interesting and intriguing histories dating back 600 years. Oddly enough, their primary occupation is not fishing but rather farming on land just across the lake. 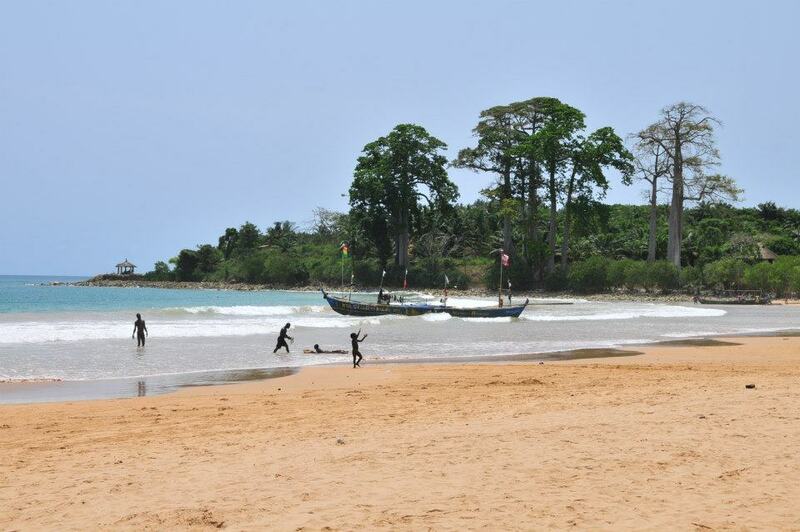 Next, we set off for Ghana’s finest beach and the village of Busua. On our arrival, we will have lunch and the rest of the day is free to relax or enjoy some of the watersports available here. Overnight at Busua Beach Resort in Busua. We will venture out today to Cape Three Points and to visit the ruined fort. 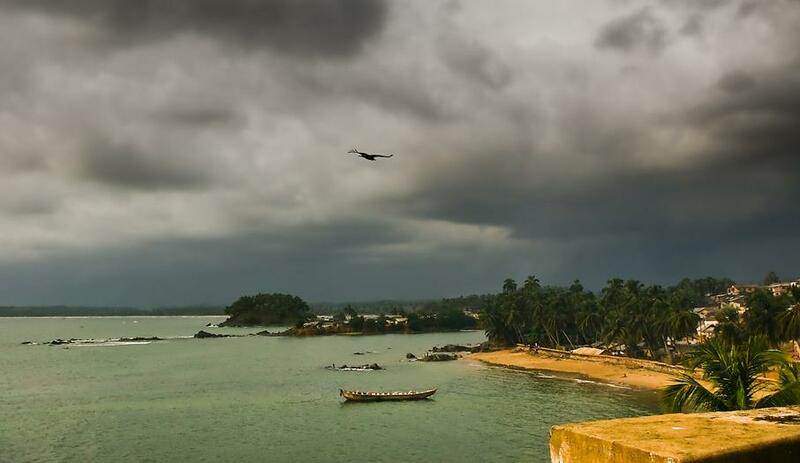 Akwidaa is one of the southernmost towns in Ghana and close to Cape Three Points Forest Reserve and has easy access to pristine beaches, lush greenery, wildlife and river activities. 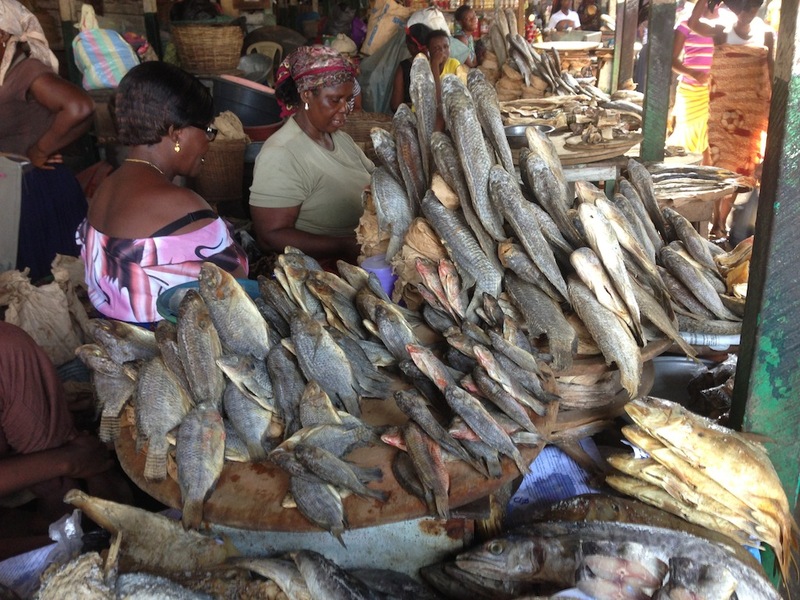 This fishing and farming community is situated on a peninsula along the Atlantic coast. 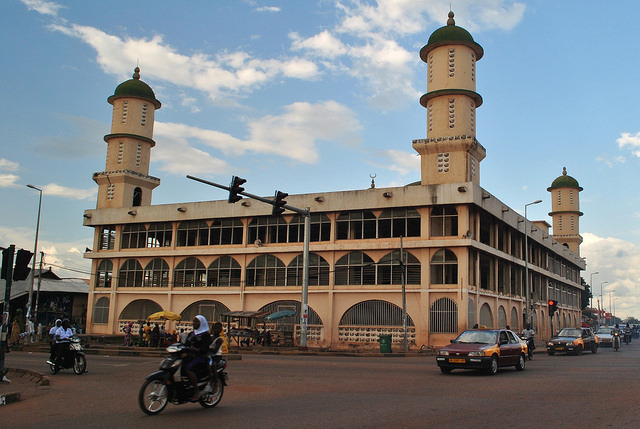 The town comprises two parts – Old Akwidaa and New Akwidaa, separated by the beautiful Ezile River. Old Akwidaa is the unusual site of the ruins of the triangular 17th Century Fort Dorothea, one of the oldest forts in Ghana, and a former trading post for the Brandenburg African Company. During our tour, we will walk about 400 meters to a once beautiful fort that is now in ruins. 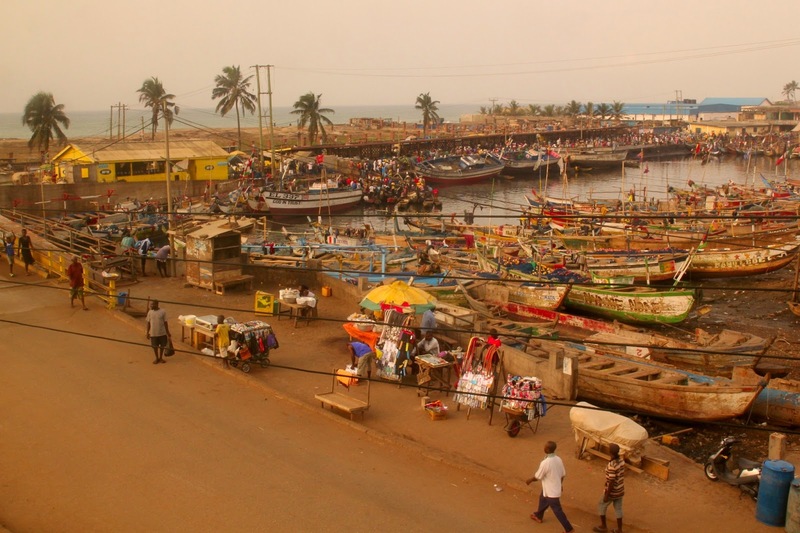 After breakfast on the final day of our Ghana tour, we will have a walk around the friendly fishing town of Busua before we set off for Accra. 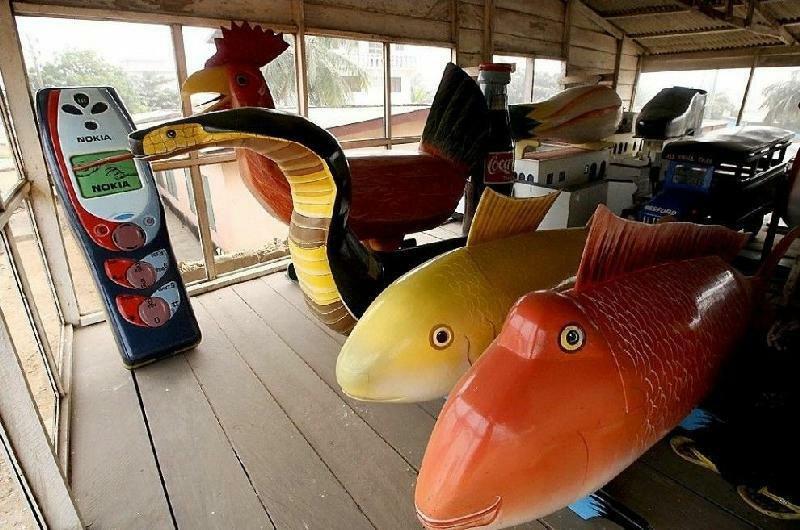 If time permits on our arrival, we may have the opportunity to pick up any last minute souvenirs as we visit Ghana’s largest arts and crafts market. We will enjoy an early evening dinner together before our transfer to the airport and departure after an unforgettable 20-day tour.